Practices for measuring audio signals include measuring active speech levels in RMS dB’s (no weighting) and using pre-defined weighting (as per weighing curves A, B, C, and D). These practices have adequate support in various standard documents. Active speech levels are determined using the ITU-T P.56 methodology. P.56 outlines three basic methods of measuring active speech level (ASL): Method A, Method B and Method B-equivalent (cf. Ref.1) . through interactive process using two-stage absolute averages and signal energy, determine a threshold THR above which the waveform represent the speech and otherwise it represents silence or background noise. 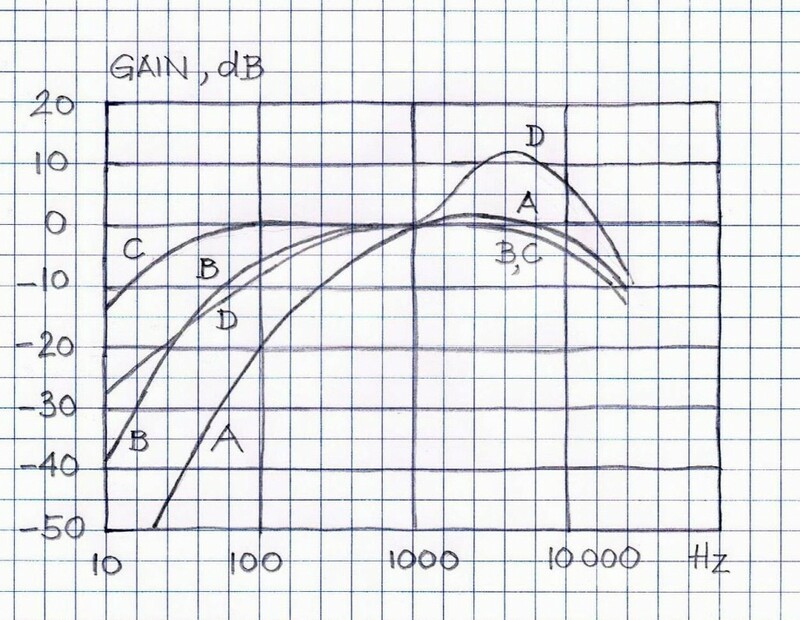 Method B-equivalent is only very generally defined and it can be summarized as any method broadly following principles of Method B and producing similar results to Method B. Similarity of results is broadly defined as having measurement results within margin +/-1dB with confidence level greater than 95%. Figure 1 illustrates three examples of waveforms with estimated ASL values in dBov (RMS, no weighting). When working with experimental audio files, particularly with audio files collected from real-life acoustic scenes, it is helpful to pre-process these files by removing frequencies that are outside of the audio channel band for which these files are intended. In addition to that, when measuring the audio levels of these files, typical practices require weighting curves, such as A, or B, of C, or D ( depending on the specific applications) be applied. Figure 2 depicts four typical weighing curves. VOCAL Technologies engineering practices include standard compliant Active Speech Level measurements and estimations as well as standard compliant A and C weighting.